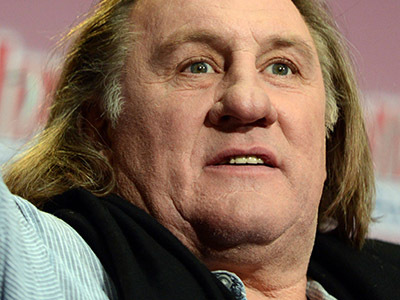 The Russian Communist Party has offered French actor Gerard Depardieu, who was recently granted honorary Russian Citizenship, a membership card, as in their opinion Depardieu shares the political views of his Communist father. The secretary of the Communist Party’s Central Committee, Valeriy Rashkin told reporters that he learned from Depardieu’s interview that the actor’s father was a Communist and Depardieu had a great respect for the man. “And considering the fact that Depardieu recently got our citizenship and our country is, generally speaking, leftist, we can offer him to join our party,” Rashkin said adding that he personally had already sent the actor an official letter on the issue. In early January President Vladimir Putin personally handed Gerard Depardieu a Russian passport when the actor paid a brief visit to the South Russian resort city of Sochi. 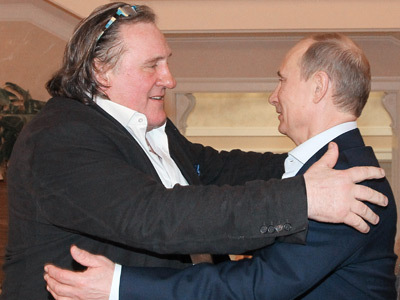 Putin’s press service announced that Depardieu was granted Russian citizenship for his input in the development of culture and Russian-French relations. The move was preceded by a huge scandal in France as Depardieu announced in December that he was tired with excessive French taxes and planned moving to Belgium. 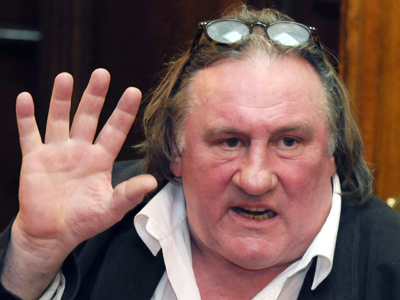 French PM Jean-Marc Ayrault retaliated and said the actor was acting “shabby”, to which Depardieu replied with a flood of accusations and a statement that from then on he preferred to be a citizen of Europe, not France. According to some media reports, Depardieu suggested in private talks that he could move to Russia where he is known and loved. At first, Russian authorities suggested that this was probably a joke, but after the New Year apparently changed their attitude as Depardieu was greeted warmly and given the Russian passport and the citizenship decree signed personally by Putin. The news was widely advertised in Russia and many politicians and other public persons decided to use the occasion for self promotion. Depardieu was offered places and roles in several provincial theaters, at least two ethnic minorities, Mordva and Udmurt, solemnly accepted the Frenchman into their peoples and now the Communist Party of the Russian Federation decided to follow suit.